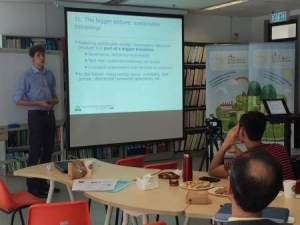 On the week of November 2-5th, 2015, the Asian Energy Studies Centre (AESC), together with the Department of Geography, organised a series of energy-related events at Hong Kong Baptist University. 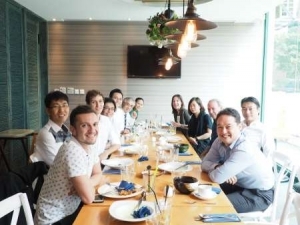 These events strengthened AESC’s global research network, brought the latest research insights and solutions in moving towards a sustainable energy future for Asia, including Hong Kong. These events have also strengthened the role of AESC as an increasingly recognised hub for sustainable energy studies on the Asian region. 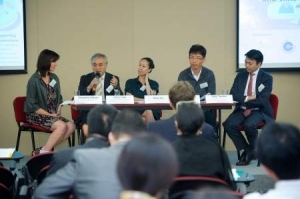 The first event, “The First Asian Energy Conference: Smart Grids, Sustainability Transition, and Innovation in Governance” happened on November 2nd. The Conference aimed to provide a forum for academics to share new policy and governance practices of smart grid development from Asian perspectives. 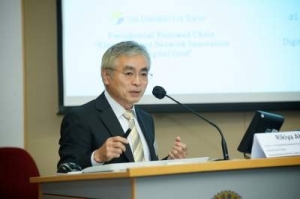 Prof. Rikiya Abe from the University of Tokyo and Digital Grid Consortium, presented his keynote “The Realisation of the ‘Internet of Energy’ in Japan: Challenges and Prospects”. Mr. Chan-Kook Park from the Korean Energy Economics Institute presented on the “Factors Enhancing Smart Grid Consumer Engagement”. Keynote speakers included Prof. Rikiya Abe from The University of Tokyo and Dr. Alice Siu from the Center for Deliberative Democracy at Stanford University, and other speakers included scholars and practitioners from North America, Europe, and other parts of Asia, including Hong Kong. 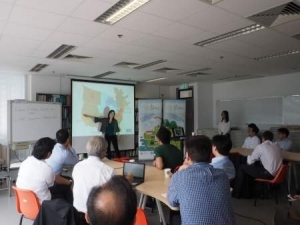 About 50 people from utility companies, businesses, academia, NGOs, consulates, consultants, and HKBU and other local universities participated in various sessions of the Conference. This Conference was sponsored by Hong Kong Baptist University, and the Faculty of Social Sciences and Department of Geography at Hong Kong Baptist University. Supporting Organisations included the Kadoorie Institute at The University of Hong Kong, and the Center for Deliberative Democracy at Stanford University. Internal research meeting with scholars from around the world. 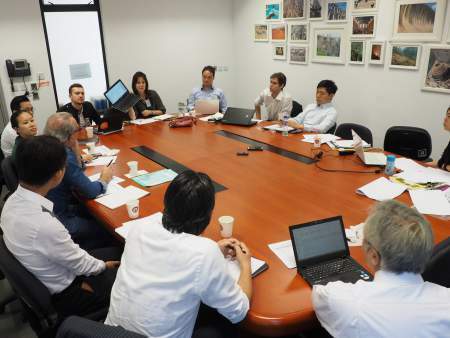 Speakers and members of the organising committee of The First Asian Energy Conference, as well as other scholars, gathered for the Post-Conference Internal Research Meeting on November 3rd to discuss areas of collaboration and develop potential research plans. 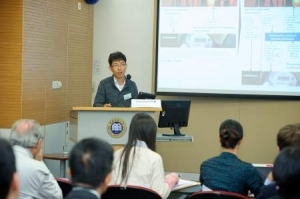 Speakers from the US, South Korea, and the Netherlands presented on various energy topics, ranging from wind energy, nuclear power, to domestic energy consumption at the energy research seminar series from November 3rd to 5th. 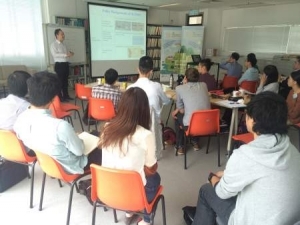 The aim of the seminar series is facilitate discussion and ideas exchange among different stakeholders to promote a sustainable energy future in Hong Kong. These global experiences were valuable because they provided further insights on how Hong Kong could move forward from the perspectives of grid operations, municipal energy policies, and households. Supporting Organisations of this seminar series included Civic Exchange, Friends of the Earth (HK), and World Wildlife Fund (HK). Prof. Elizabeth Wilson, University of Minnesota, presented on the topic “Integrating Big Wind into the Electricity Grid: Transmission, Reliability, and Markets in the Midcontinent Independent System Operator”. Dr. Taedong Lee, Yonsei University presented on the topic “An experiment for urban energy autonomy in Seoul: The One ‘Less’ Nuclear Power Plant Policy”. Mr. Robin Smale, Wagningen University presented on the topic “Domestic energy consumption in perspective”. As a newly emerging centre for research excellence in sustainable energy studies, AESC aims to provide a collaborative platform for cultivating interdisciplinary research with particular focus from the perspectives of governance in the Asian context. This fits well within Hong Kong Baptist University’s Vision 2020 Strategic Theme No. 5 which aims to promote interdisciplinary, collaborative research. AESC will continue its mission serving at such capacity and to be a catalyst to meet HKBU’s long-term goals, aspiring to make significant academic impact in the years to come. For more details about AESC, please visit http://aesc.hkbu.edu.hk/.